What Makes Our Reiki Training Different? 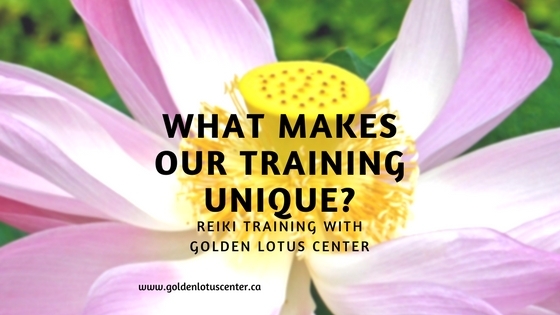 What makes Reiki Training with Golden Lotus Center different? 16 hours of class time for Reiki Level One. Many Reiki Level One classes only offer 3-6 hours of class time. Having two 8 hour days of instruction allows for hands on practice of everything learned, with time to ask questions and dive deeper into the course material. Professional Level I + II Manual from the International Center for Reiki Training included. If you decide to continue to Level II, you do not need to purchase an additional manual. Your Level One class will not only cover the history of Reiki, 5 Reiki Precepts, Hand positions for self healing, chair reiki, and a full session, but will also dive into topics like Manifestation, the Power of Your Thoughts, Protecting and Cleansing your energy, sensing energy fields with your hands, Japanese Reiki techniques and more. Level Two classes cover expanded course material as well, designed to provide each student with a well-rounded and grounded understanding of everything they are learning. 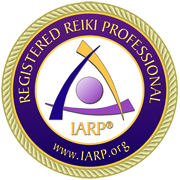 Professional Certificate and your Reiki Lineage included. Trace your lineage back to the founder of Usui Reiki Ryoho, Mikao Usui. In our Level One classes you will give and receive a chair reiki session, practice the hand positions for self reiki, practice a group guided meditation, and give and receive a full reiki session, as well as participate in a special Group Manifestation exercise. Learn about the chakras and human energy field. We will cover the human energy system in Level One, and go over the chakras and meridians and how they relate to energy healing. You will learn a simple technique to balance chakras with Reiki. Your journey with Reiki does not end when the class is over, and your relationship with your Reiki Teacher should not either. I provide all of my students with ongoing mentorship and support to encourage their growth and progression with their new Reiki skills. Reiki circles offer certified Reiki practitioners an opportunity to practice their skills and enjoy community with other like-minded people. I hold Reiki circles on a monthly basis for a nominal $10 fee. The $10 fee covers the cost of the space rental, any additional funds raised from the fees are donated to YESS Edmonton. View upcoming events here. Krystle Ash is a registered Usui and Lightarian Reiki Master-Teacher with the International Association of Reiki Practitioners, and a Pranic Healer with multiple levels of training. Krystle has been facilitating healing with Reiki since 2012. Grounded, intelligent and concise training that encourages one to ask questions and test their new skills. Golden Lotus Center students are set up for success by ensuring they have a solid grasp of their Level One concepts before progressing to Level II when they may begin offering reiki sessions on a professional basis if desired. Golden Lotus Center students receive 32 hours of in-class training by the time they complete their Second Level, equipping students with knowledge, confidence, and skill. For upcoming course schedule please click here. Scholarship Program available for one student annually. See Scholarship Page for more information on this program and how you can apply.